Gohar Vardanyan is a first-year MA student in the Department of Political Science of the Yerevan State University’s Faculty of International Relations. She is also a second-year BA student of Law attending evening classes. Gohar is able to keep up with such ambitious studies through the support of the Armine and Garabed Zambak Scholarship, which helps young Armenian become strong and dedicated future leaders in politics, international relations, and public administration. It also aims to develop the culture of philanthropy in Armenia by encouraging recipients to give back, though Gohar had been a volunteer long before she became a recipient of the Zambak Scholarship. To date, she has volunteered for a number of NGOs, including the Red Cross International, and is particularly interested in working with children. Last summer, Gohar learned the basics of photography from Young Professionals Trip participant Alex Jahani at the FAR Children’s Center Media Lab. Now she is passing on her new skills to the beneficiaries of the Children’s Center during weekly photography classes. Gohar is passionate about involving the kids in photography, which is both enjoyable and creative for them. Among the group of youngsters who participate in weekly trainings with her are two teenage boys: Karen and Levon. They don’t talk much, but they clearly appreciate doing something that deviates from the routine of their everyday lives. 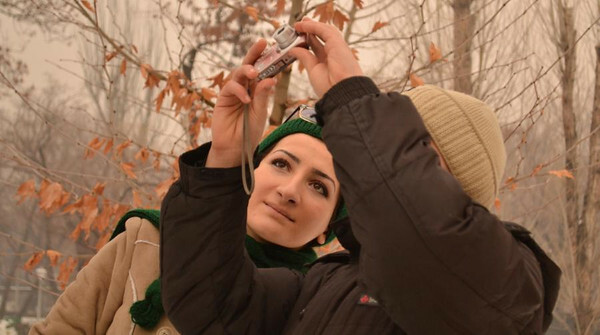 This week, for example, they explored the visuals at the Lovers’ Park in Yerevan, which is one of the different locations that Gohar chooses to photograph each week. “I don’t like keeping good things to myself. If I know something well or I have a skill or experience, I am more than willing to pass those down the ladder for those who are learning,” says Gohar. She then recalls her unfinished leadership studies at the School for Young Leaders in Yerevan that she began in 2012 and never had the opportunity to complete. Perhaps what she does at the Children’s Center is a continuation of establishing personal leadership. Through every photography lesson, she leaves the footsteps of the leader that she once strove to become. When asked why she decided to volunteer for FAR, Gohar simply answers, “It is important for me to take part in FAR’s benevolent work.” Her credo is to “try to be more kind-hearted,” which sounds like a gentle plea for more citizens to join the network of volunteering.